To ensure that ACEP Members receive the best price, we have made this book available on Amazon. Please complete your purchase by clicking the Amazon icon. In this critical area of emergency care, a sound knowledge and understanding of this essential skill is of utmost importance. 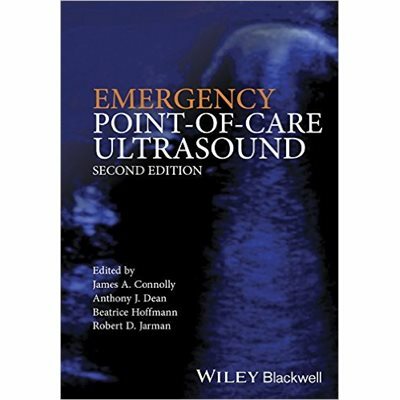 The authors have extensive knowledge in this field and are considered leaders in the development of point of care ultrasound, with extensive international experience of teaching in this area. The individual chapters are written by current experts in their field to create an authoritative text covering all areas of this exciting new area of medicine. Each chapter begins with an introduction to each focused scan and a detailed description of the method for obtaining the images, followed by examples of normal and abnormal scans. Added features for each chapter are pitfalls of the technique and valuable pearls from experienced users, together with a summary listing the most up to date evidence. An accompanying website will augment the information with video clips showing probe positions and orientations.